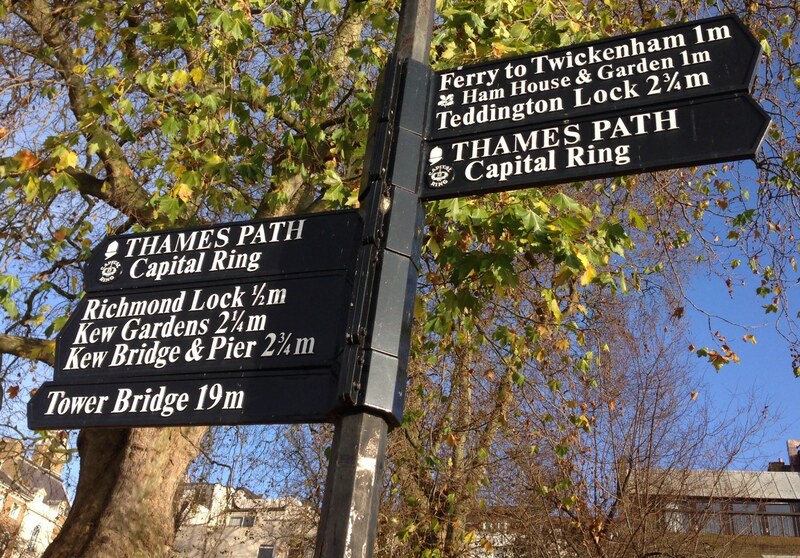 What could be better on a cold, crisp, sunny day than a walk by the river? A chance to blow the cobwebs away, kicking stones on the path and watching the ducks show off their diving skills? Perhaps a stop at a hostelry or two for a pint of Old Wallop? You can’t beat it. How long would you want to walk for though? A mile, perhaps three if you were in the mood? Sounds good, right? So here I was, feet aching, tired and hungry, watching another swan objecting to the route I was taking alongside the Thames. Nasty things swans. They can break your arm. Really? Has there every been any evidence that suggests a swan, and not say a goose or even a goat is equally as likely to break your arm? Visits to the bar have been few and far between. This is not fun. 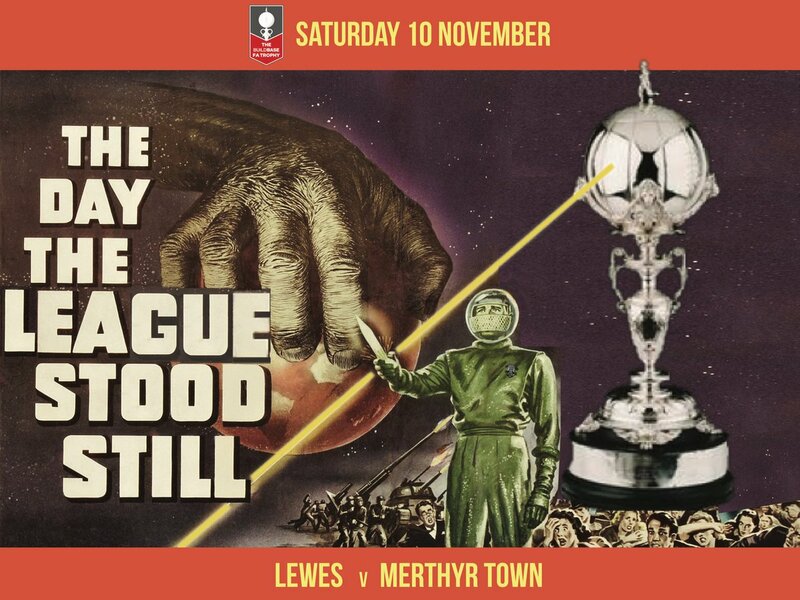 Bloody Danny Last and his ideas to liven up a perfectly good plan for an afternoon of drinking and watching Lewes. At 10.38am five of us left Richmond station, with our destination 10.32 miles away at The Beveree, home of Hampton & Richmond Borough where the mighty Rooks would be playing. On a map, the actual distance between the two venues is just 5 miles, passing some very pleasant areas of South West London, and a few very nice Ale Houses too. 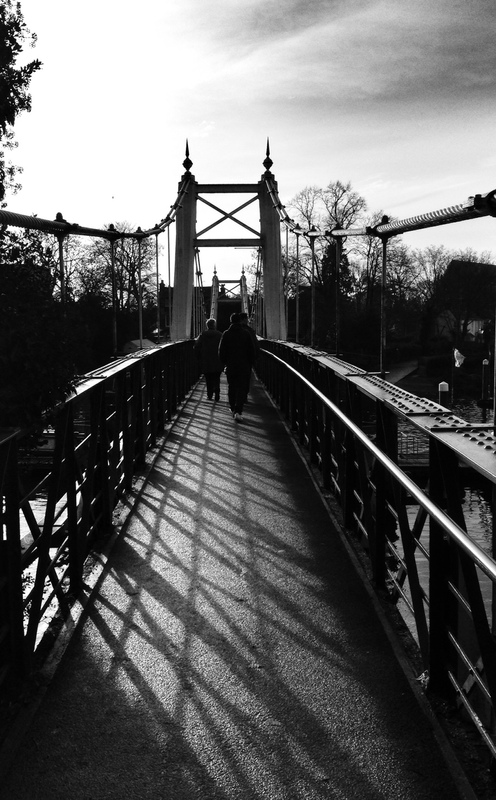 But Danny suggested we went the scenic route, following the Thames through Ham, down to Kingston (past the Tiffin Girls School – rumored to be the basis for the St Trinians stories), across the water and then around the edge of Teddington and Hampton Court. TEN POINT THREE TWO MILES. 16,608 metres. 54,844 feet. 653856 inches. You get the picture. Twice along the route I had a Captain Oaks moment, passing Stein’s just 250 metres from our starting point and then again near the half-way point at The Anglers at Teddington Lock. But we, or more importantly, I, made it to The Jolly Coopers in Hampton in one piece and before kick off. And what a welcome we had there. 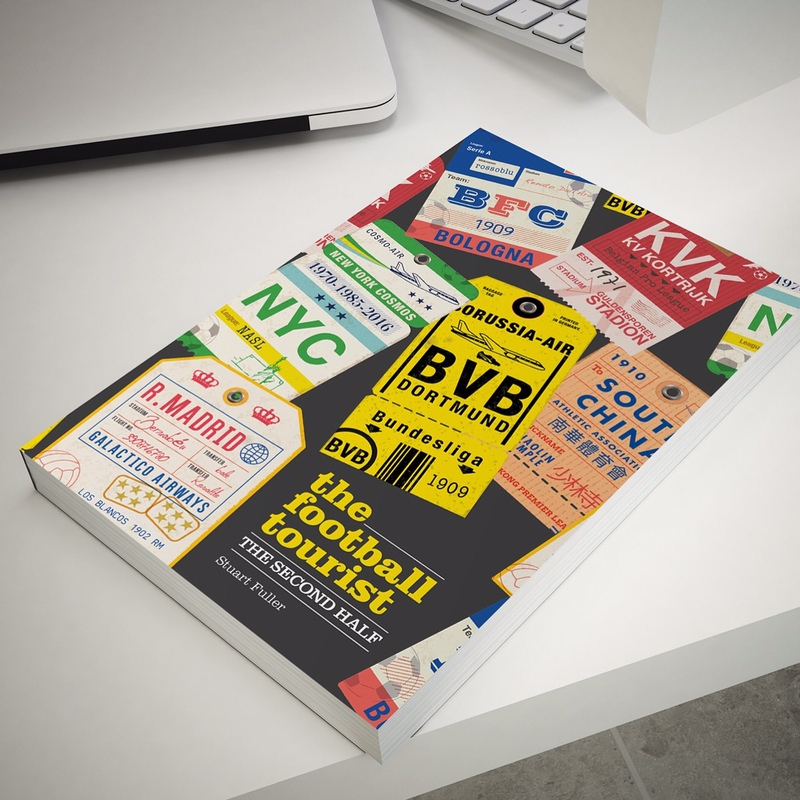 A pint of Jack Frost, a steak and potato in peppercorn sauce sandwich and picking up a copy of the official report from the 1962 World Cup Final for just a pound. My Mum would be very proud of me. My feet hurt, but I felt good. Cathartic, in fact. I had done something good for the world and walked through the gates of The Beveree with my head held high. 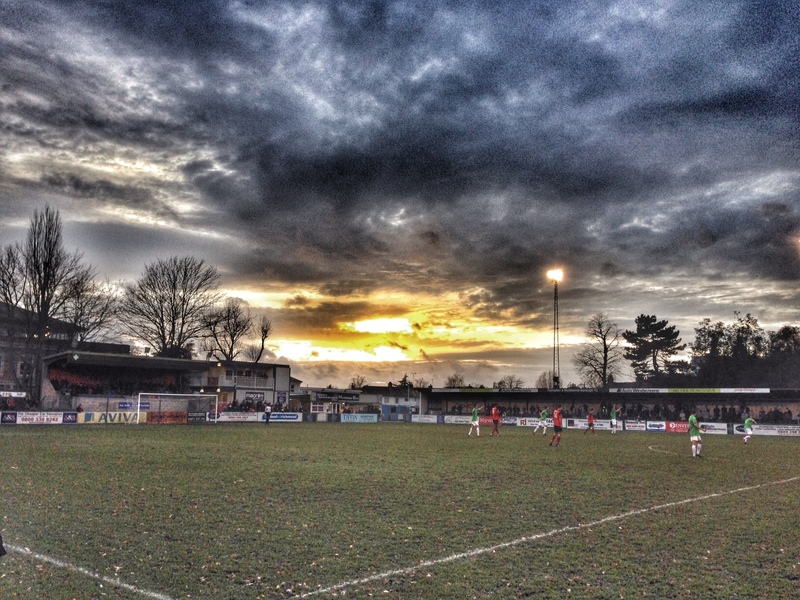 Hampton & Richmond Borough away is always an away trip you don’t want to miss. Great little ground, some decent pubs nearby (which we frog-marched right by), decent fans and the one place where we have a very good track record. It was back here in 2009 when Lewes arrived on the last day of the season needing a win to stay in the Conference South. Two-nil up with ten to play, Danny trotts off to the bar, missed a Beavers goal and then wonders why we are all so nervous for the final minutes of the game. In fact I don’t think he realised that Hampton had scored until a few days later. They had followed a very similar path in recent years to us. Promotion against the odds to the Conference South on a small budget, they had missed us and came down to join us in the Ryman Premier. Of course they had Charlie Moone. Bloody Charlie Moone. Sure as night follows day, sausages follow mash and Allardyce and dull football, he was bound to score today. As the teams took the field the Rooks fans took our place at the far end of the ground, hoping that we would see the team that beat Billericay rather than the one that were thumped by Kingstonian. As we entered injury time it seemed like this would end in pain and suffering. Lewes simply hadn’t been at the races all afternoon and trailed to a second half goal, by you’ve guessed it, Charlie Moon. Even against 10 men for more than an hour, they had hardly troubled the Hampton keeper. Then the ball found its way out to the right, the ball was fizzed across the area and Nathan Crabb seemed to stick out a leg and shin it in. Queue the Lewes fans all handing over their Get Out Of Jail Free cards. One point gained rather than two dropped. It wasn’t a classic. You can blame the blustery weather, the pitch that Galatasaray would have been proud of or the thought of the trip to Grays on Wednesday when every other sane person would be at their office Christmas Party (or is that just me?). A Christmas cracker it wasn’t. It probably didn’t help that Hampton’s Billy Jeffrey’s was red carded for a challenge in the 25th minute for a reckless challenge on Jack Dixon. A few minutes later Lewes full-back Sam Cole could have joined Jeffrey’s in the early bath for a heavy challenge, but he just saw yellow. 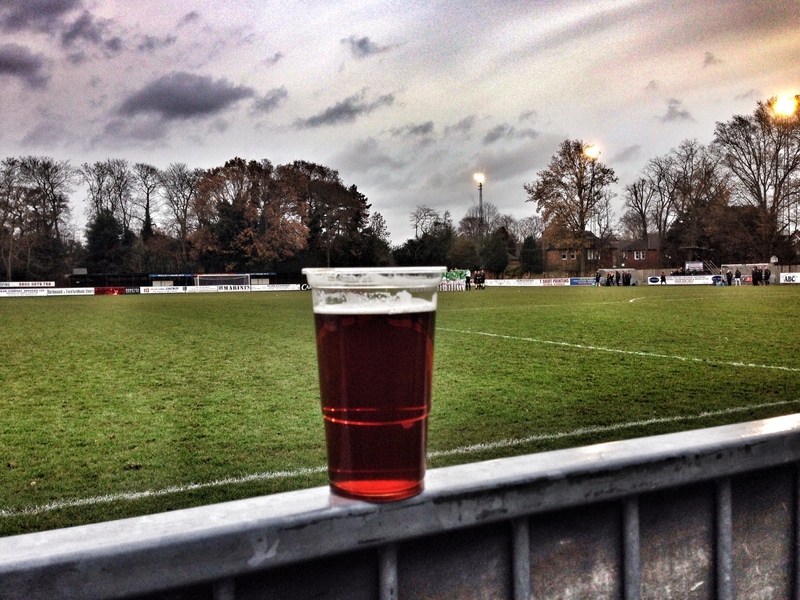 Fortunately the Christmas beer on draught at the bar was helping to numb the pain radiating both from my feet and on the pitch. It was inevitable that Hampton & Richmond would score after going down to ten men, and none of us would have bet against it being Mr Moone as he headed home from a corner. There looked like there would be only one winner when the Lewes bench threw their last die, giving a debut to Omarie Keita and it was the sub who inspired the Rooks to an unlikely point. It wasn’t quite the afternoon we had imagined but let’s just stop for a second. In the past five seasons we have only once before been in the top half at this stage in the season. We aren’t looking over our shoulders at the bottom of the table. As John Lennon once said, “Above us only sky”. I genuinely believe we are one or two players from being one of the most feared in the league. Thankfully, the journey home was a bit less painful. We enjoyed some naked ladies (a local beer brewed just down the A316 in Twickenham) in the World’s End before we headed home to put our feet in a bowl of hot water. Fresh air was the winner today, closely followed by a nice pint of Jack Frost, with the football being a distant third. This entry was posted in Lewes FC, Non league football, Rymans Premier and tagged Hampton and Richmond Borough, Lewes, Ryman Premier League. Bookmark the permalink.